Bowood Homes is a small-volume home builder that specializes in design-build custom homes and renovations. We have earned a reputation for quality design and construction, attention to detail, and excellent client relationships. After all these years, the Bowood team is still excited about our work and treat every new project with enthusiasm! Considered a small builder by today's standards, BOWOOD has earned a reputation for quality design and construction, attention to detail and excellent client relationships. Almost all of Bowood's work comes through referrals from clients, building industry professionals, and even other builders. We have been fortunate to work on many interesting and challenging projects in central Alberta and we are proud of the results. After completing hundreds of homes and renovations, we can still say that we're excited about our work and treat every new project with enthusiasm! For over three decades, Creative Designs has emphasized superior design and project quality. We are truly a custom home builder, rarely building same house twice. We are a Home Builder building in Central Alberta. We have showhomes in Blackfalds and Lacombe. 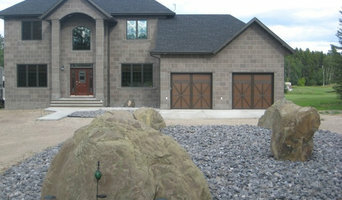 We specialize in custom home building, renovations, garages, etc. we also have ready to move in homes in Blackfalds and Lacombe, Alberta. We also build on acreages in Central Alberta. We have stock plans or we can customize any of our plans or help you build your dream home. We have won several awards in home building in Central Alberta. Echo Ridge is the first choice for your new home, or for home renewal - our passion is construction, finishing our projects with quality and pride in our workmanship. Our Mission is to Build Unparalleled Homes that are Purposefully Built and Functional! Established in 2012, our goal is to bring a fresh approach to quality building. A house is more then the structure, its where life happens and memories are made. Each home should be functional, beautiful and reflective of the people who live in it. Our passion is designing ideas that challenge the status quo and then bringing them to life. The Koti Experience We Pride Ourselves on Pushing the Status Quo. We Want to Make Sure You Are Not Only Satisfied with the Overall Product, But So Are We. Whether You are Looking for Turn-Key or Custom, We are Excited to Create, and Look Forward to Meeting with You. Create: Floor Plans Designed to Meet Your Specific Desires and Lifestyle. Choose and Taylor an Existing Plan or Bring Your Own Ideas and Lets Create. In this Process we Will Sit With You and Work Out a Floor Plan Along with Unique Ideas That are in Line With Your Overall Vision. Design: Often the Fun and Exciting Part. We are By Your Side Through-out the Process, Meeting with Our Trusted Contractors to Ensure the Final Product is Exceptional. We Choose only Quality Products Which Deliver That Clean and Attractive Look You can Expect From a Koti Home. Here We Choose the Colors and Materials That Bring the Character to the Home. Building Together: Its Important to Have Open and Transparent Communication Through-out the Build. From Pre Construction Planning to On Site Meetings, As a Homeowner You have an Important and Timely Role that is Cohesive With us as Your Builder. Peace of Mind: As a Member of Progressive New Home Warranty, You get the Reassured Benefit of Receiving Their Award Winning Coverage. As Well we Carry all the Appropriate Insurances Protecting the Project Through Construction. For Us, Its Important to Maintain the Relationship so We Will Continue to Follow up with You Periodically to Make Sure Everything is As it Should be. Ridge Stone Homes is a family-run small volume builder specializing in building beautiful Custom Homes throughout Central Alberta. Krest Homes is dedicated to building homes of unparalleled quality, state-of-the-art design and durable value in the best, most desirable locations possible. We simply care and it echoes in all aspect of the home building process. Our greatest asset is a satisfied homeowner. Our team works unanimously with one purpose in mind: to deliver a home true to you, making your dream a reality. We pride ourselves in having people gravitate to our higher standards and make the move up to a Krest Home. Since 1976 Laebon has embodied a commitment to craftsmanship, design and innovation by matching exceptional homes with exceptional communities. From starter to estate, we offer a home for any individual or family, in any stage of their life. We want to shine bright by serving our communities and clients well. We have committed to assisting in the build of a new home for hurricane victims in Haiti with every new home or major renovation! 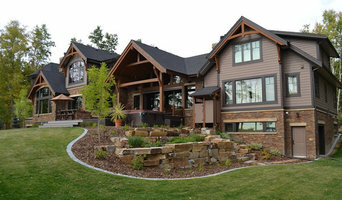 Ridge Stone Homes specializes in building beautiful Custom Homes throughout Central Alberta. Everything from luxury to starter we have a home for you! Our mission is to create a custom home to fit your unique needs, wants and style. We maintain open communication and are personally involved throughout the entire home building process, from the planning, construction, design to post- occupancy our team is with you every step of the way. We are a quality focused home builder meaning we have uncompromising attention to detail, superior construction standards, and dedicated client collaboration. RidgeStone Homes is family run, small volume builder which allows for better, more attentive customer service, you will be assured one of the owners will personally oversee your home build from beginning to end. We look forward to hearing from you, and building your future dream home! Echo Ridge Homes Inc. has existed as an incorporated business since 2005, but the roots of experience go much farther back. There are three principal shareholders in the company, all having had previous residential and commercial construction experience. Echo Ridge Homes is making its mark in and around Central Alberta with new home construction, renovation work, and light commercial property. The company specializes in Insulated Concrete Form (ICF) basements and is adapting innovative technology with regard to insulation and energy efficiency. We plan to be on the leading edge of the green revolution, and can deliver on cost-effective yet energy efficient construction methods. Asset Builders Corp. was formed in 2001 and since then has established itself solidly in the new home residential market. Asset Builders’ main purpose is to provide our clients with a beautifully designed, well built, carefree home. Our guarantee is that we will stand behind our homes. We maintain a respectful, productive workplace that produces quality homes. The company has successfully operated in Central Alberta area since it's inception, building new homes to meet the demands of both first-time buyers and homeowners upgrading residences. If you are looking for a new home, Asset Builders invites you to share your excitement with us. You'll be delighted with our selection of plans and our flexibility in helping you customize your new home with features that are important to you and your family. Our staff will look after you and assist you every step of the way. Welcome to True-Line. We are proud to be celebrating over 20 years of crafting custom masterpieces in Central Alberta and take great pride in knowing that True-Line remains one of the most reputable and successful builders in our region. Although we have a slightly classic approach to home building, we pride ourselves on staying ahead of new trends and building practices. We ensure the quality of your new home meets our impeccable standards. Our reputation is second to none thanks to a fantastic team of staff, suppliers and trades who have come together to construct your new home. True-Line succeeds because we always stick to our core values: Dedication to Quality Customer Satisfaction Community Involvement True-Line is community-minded. For over a decade, we have been the builder of choice for several local charity lottery homes, including the Kinsmen Dream Home, Red Deer Regional Health Foundation Hospitals' Lottery, as well as the Festival of Trees; House of Miracles and Renovation project. There is no greater feeling than giving back to a community that has supported us throughout the years! We appreciate your consideration in this monumental dream and promise to treat you the way we like to be treated ourselves. Just ask someone who has built with True-Line before and you will see why we are True-ly Different. Husband and wife team that design and build detail. Whether a new house from print to completion or renovation from demo to reveal. We build homes and relationship. As a small-volume builder, and family-owned business, we take personal pride in the quality of the homes we build. We offer one-on-one personalized service that larger builders do not. Our homes are thoughtfully designed with you, the home buyer in mind. Our homes include everything from structural integrity to energy efficiency to a flawless interior. The true quality of any home is as much unseen as it is seen - that's "The Somerset Difference". We’ve built a refreshing new approach to modular home buying; our process supports the customers needs through a higher level of dedication to service and education. As a team of custom home providers with decades of industry experience, we started Sunshine Homes to offer a more involved and relationship based form of construction of new homes. Our turning point was understanding how we’re building futures, more than just simply supplying homes. People are looking to take the next big step in their lives, a home that supports their family and lifestyle expectations. We’re delivering modular homes across Alberta that transition our customers into the next stages of their lives; strong, reliable manufactured homes that are custom to every individual. Mason Martin Homes has been building in central Alberta since 1990 and understands that building a home is the largest and most important investment a family will ever make. By choosing us as your builder you can be assured that you will receive the best value and highest combined knowledge and expertise of our certified staff that we meet and exceed our customer's expectations. What’s the most important step in building a new house from the ground up? Many people would say it’s choosing the right Lacombe home builder. Constructing a new house is a huge and multifaceted undertaking, so it’s important to find custom home builders in Lacombe, AB you can trust to bring your vision to life, as well as keep the process under control from start to finish. Although a construction job is never without surprises and challenges, a Lacombe, AB home builder who’s a good fit for your specific project will make these far easier to handle. For Lacombe residential home builders who also act as developers, the job starts well before the first nail is driven. They perform local market research to determine whether the prospective homesites make sense in the Lacombe, AB market, as well as survey the land on which the house will be built to make sure it is suitable for construction. Custom builders also obtain the necessary permits. 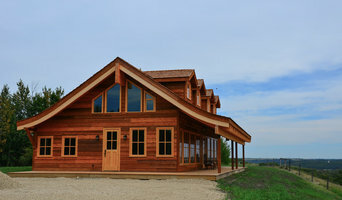 A good custom home builder in Lacombe, AB has skills that go far beyond construction — he or she must supervise subcontractors and artisans; keep tabs on local zoning regulations, building codes and other legalities; inspect work for problems along the way; and perform dozens of other roles that are essential in building a quality house. Here are some related professionals and vendors to complement the work of home builders: Interior Designers & Decorators, Landscape Architects & Landscape Designers, Architects & Building Designers, Kitchen & Bath Designers, Specialty Contractors. House builders are responsible for ensuring that the home-building project sticks as closely as possible to the specified timetable, particularly in the event of change orders. Custom and luxury home builders in Lacombe, AB also need interpersonal skills to deal with clients of all types, soothe frazzled nerves, negotiate conflicts and resolve problems. 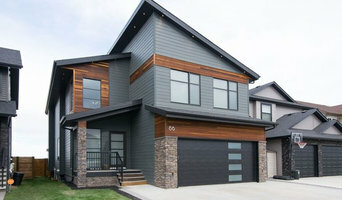 Find custom home builders in Lacombe, AB on Houzz. Narrow your search in the Professionals section of the website to Lacombe, AB home builders. You can also look through Lacombe, AB photos to find a house you like, then contact the builder who worked on it.